Just two days after returning from Walt Disney World - my brand new Hard-Sided Ricardo Roxbury 2.0 suitcase arrived. Made me sick, but then I decided I should just plan another vacation - so that I have a real chance to break in and test out my new luggage! However, in the meantime I have discovered all the things I love about about my Ricardo suitcase. It is airline friendly - the suitcase fits in overhead space on the airplane, maneuvers easily, and looks classy as you are pulling it around. Road-trip friendly - the suitcase stacks easily, so it will be great for hauling around in the back of a vehicle. Kid -friendly - just a day after I unpacked the suitcase; D-man managed to lock the suitcase without me knowing how to unlock it - we figured it out, but proves to me the luggage has moms in mind. Pet-friendly - the hardshell case obviously protects the suitcase and your personal belongings. Weather-friendly - while not completely waterproof, I would not be afraid to run across a rainstorm with the suitcase. Storage-friendly - while I am not out traveling, this luggage is easy to store away and I am not overly worried about it fading in the sunlight or getting dirty. Budget-friendly - now I know the sticker shock of the Ricardo Roxbury suitcase, but when comparing durability - this suitcase will outlast the other luggage. Currently Ricardo is also offering 65 percent off and free shipping on orders over $99 - use the TMOM65OFF code! 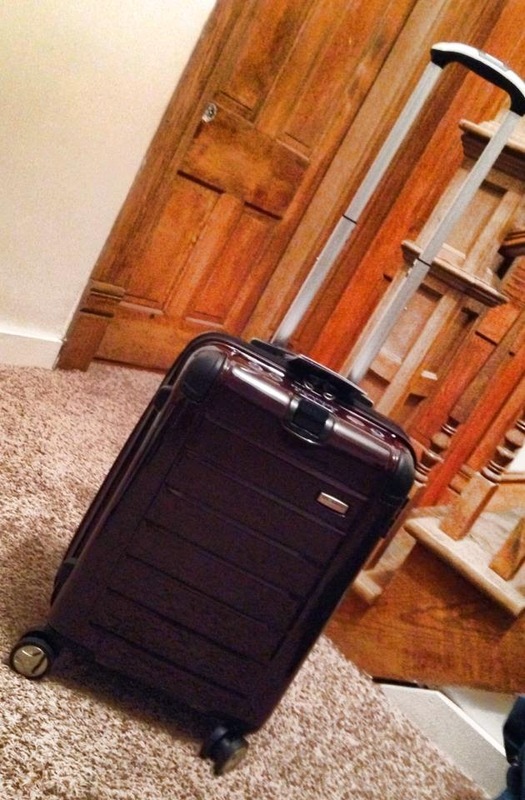 Brag-friendly - okay just face it, feels kind of good to sport fancy luggage while you are on vacation - honestly this maybe my favorite part of this piece of luggage!